We are offering groups of three Geotours on consecutive days, at reduced daily rates for the tour-guide but with transport provided. The details and activities of the individual tours will be the same as the regular one-day tours. 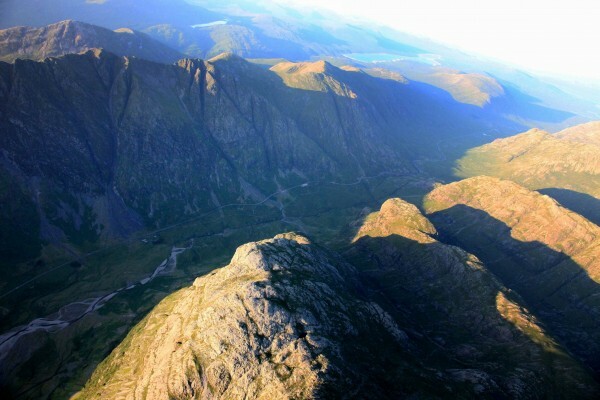 Start: for all the days we will pick you up in Fort William at our Visitor Centre, 9.30am. Interpret the current state of Nevis gorge: is the geomorphology determined by current or past forces? Involves walking on rocky paths. Total walking time is 3 – 4 hours. Ballachulish slate quarry. Opened in 1692, this quarry supplied most of Scotland with roof tiles. If you look closely you may see some golden crystals. But don’t be fooled, they are pyrite! 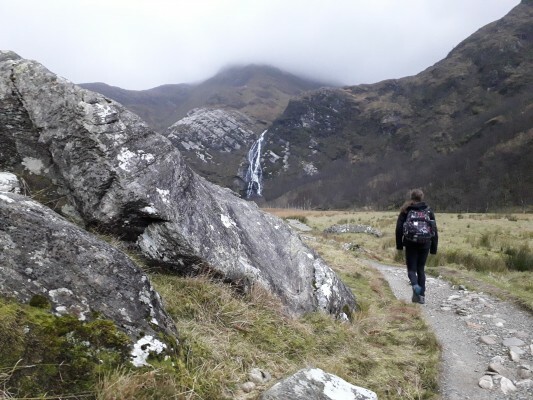 We explore the beautiful but little-visited valley of Glen Roy to discover how ice ages have shaped the Highlands. 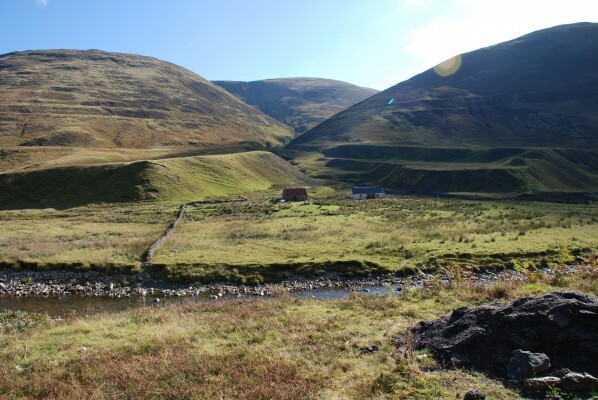 Visit the famous ‘Parallel Roads of Glen Roy’. See the evidence for a deep ice-dammed lake during the last ice age. Learn about the origin and frequency of ice ages. Visit the last Clan battlefield and learn about the lawless west. Discover a secret meeting place of Catholics during times of persecution. Involves several short walks, the longest being approximately 1 hour along an unmade-up road with a small climb at the end. There is also an optional 100 m climb up a steep grass slope to one of the Parallel Roads. We will also stop at Darwin’s Rest cafe and shop to see the exhibition on the parallel roads and have something to eat.